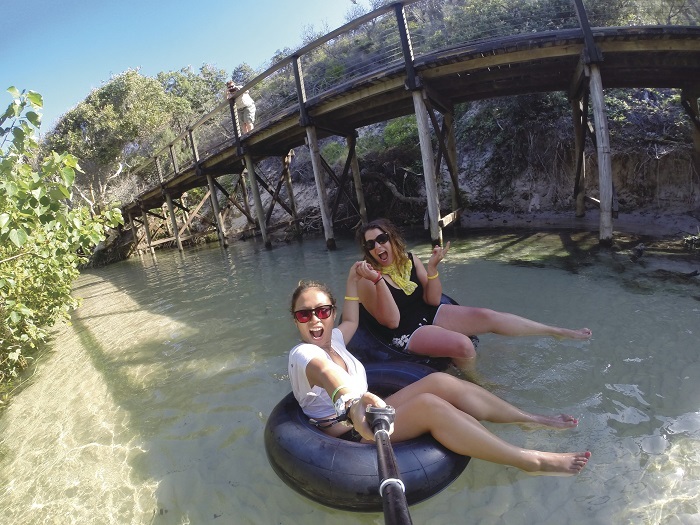 Step into the wild with this two-day adventurous tour of beautiful Fraser Island departing from Brisbane. 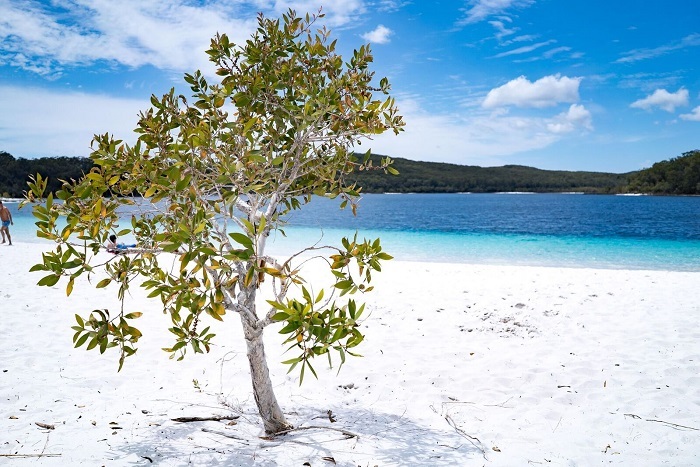 Explore the island with impressive walks and hikes, or relax on the snow-white sand of Fraser Island’s famous beaches. You’ll camp out under the stars surrounded by stunning natural scenery and some of Australia’s best-loved wildlife. Throughout the tour, you’ll be exposed to the unique landscape of the island and learn more about its fascinating eco-system, as well as the animals that call it home. We depart from Brisbane, Noosa and Sunshine Coast and head north past the Glasshouse Mountains and the Sunshine Coast towards the impressive coloured sands of Rainbow Beach for a delicious lunch by the beach. Further our journey along the tracks of Inskip Point Beach and the Fraser Island lookout, before boarding the cruise to Fraser Island. Keep an eye out for wondrous marine life including dolphins, dugongs and sea turtles as we explore breathtaking spots along the way. Your local guide will provide you with informative commentary and interesting stories to give you a deeper understand behind the world’s largest sand island. We’ll arrive in Lake Wabby known for its freshwater green coloured lake, here we you’ll get the chance to take a quick dip and enjoy the views of the surrounding scenery, or even relax on the warm sand of Lake Wabby! 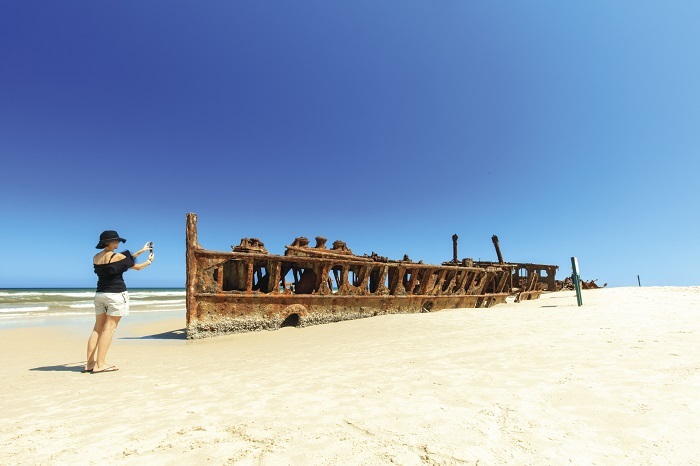 We’ll travel further into Eli Creek, the largest fresh water stream on Fraser Island followed by a trip to the famous landmark of Fraser Island, the Maheno Shipwreck. In the afternoon, we’ll head to our campsite in Govi Waterhole. 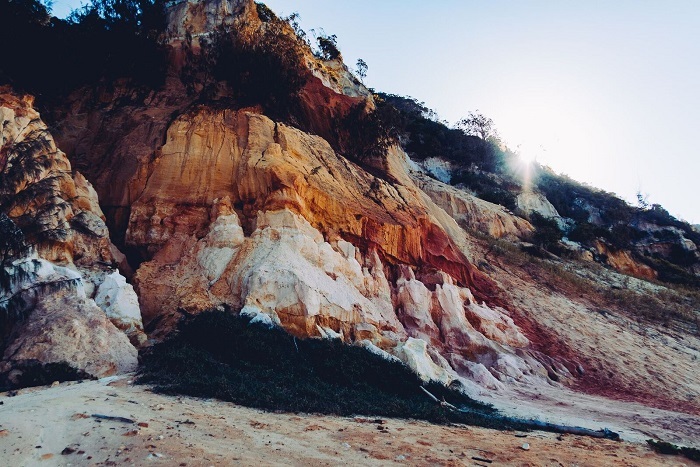 After we’ve settled you’ll have free time to explore the walks and hikes close to the camp ground with the world-famous Fraser Island Great Hike. 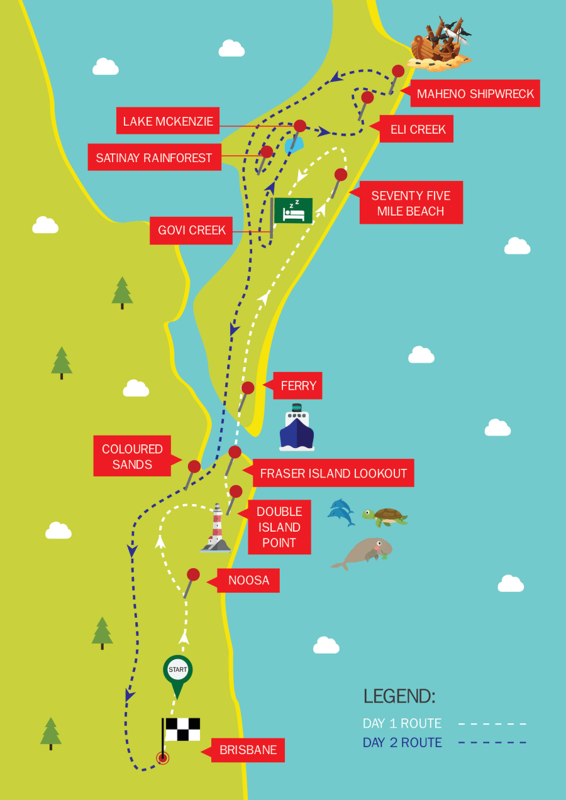 Starts from the campsite to Lake Boomanjim with other trails to Govi Creek Estuary, Eastern Surf Beach and South Beach Hike. To unwind for the day, enjoy a BBQ dinner surrounded by campfire and great outdoor entertainment. We wake early on day two and journey to watch the sun rise over the ocean, explore the area surrounding the campsite with a relaxing stroll or enjoy a sleep in. After breakfast we spend the morning discovering Fraser Island’s unique lakes and the rainforest of Central Station. We stop at Wanggoolba Creek to savour the crystal-clear waters or enjoy the optional hike through the valleys of satinays. We’ll conclude our 2 Day Fraser Island Tour by reminiscing our incredible two-day adventure and the perfect scenery and iconic wildlife that makes Fraser Island so unique.